.NET is an integral part of many applications running on Windows. The .NET Framework provides common functionality to the running applications. If an application has been developed and designed to use .NET Framework, the app will not run without first installing the framework. For developers, .NET Framework provides a comprehensive programming model and libraries for building applications easily and effectively. The latest .NET Framework is .NET Framework 4.5.2 but now Microsoft has released the newer version .NET Framework 4.6 along with the release of the latest Microsoft Visual Studio 2015 Preview. An interesting thing about the version number is that when you download and install the 4.6 version, it will show as 4.5.3. This version number will be changed on the final release of .NET Framework 4.6. 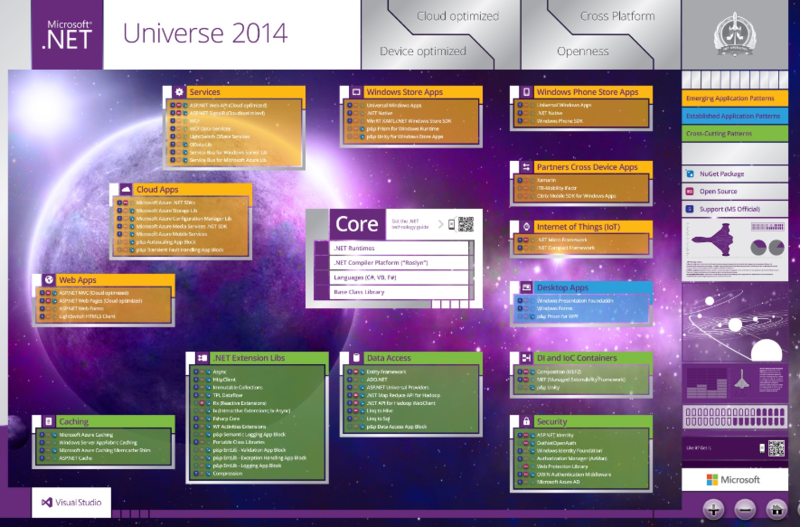 The new .NET Framework has been called .NET 2015 Preview. This is because of the huge amount of changes that have been incorporated to the new version of the framework. The first and foremost change is that now .NET Core has been made open source. Now it has been released with the MIT license. Right now Microsoft has released a few libraries code while the full Core code will be released at the time of final .NET release. You can learn more about the .NET Framework 4.6 here. .NET Framework 4.6 is a highly compatible in-place update to the previous versions .NET Framework 4, 4.5, 4.5.1 and 4.5.2. This means that if you have one of the above mentioned frameworks installed on your computer, this installer will upgrade them to 4.6 while if you have older frameworks installed like 3.5, 2.0, 1.1 etc., then it will run along side them. The supported Operating Systems include: Windows 7 Service Pack 1, Windows 8, Windows 8.1, Windows Server 2008 R2 SP1, Windows Server 2008 Service Pack 2, Windows Server 2012, Windows Server 2012 R2, Windows Vista Service Pack 2. The hardware requirements are almost the same as in previous versions of .NET Framework. The only thing you should look for is the required disk space. You will require a minimum of 3 GB disk space in your system drive for installation. If you are interested in running .NET Framework in any other supported language, then you’ll need a language pack for the framework. Free language packs are available for the framework preview. The .NET Framework 4.6 Preview Language Pack contains localized resources for supported languages. The supported languages include Chinese, Czech, French, German, Italian, Japanese, Korean, Polish, Portuguese, Russian, Spanish and Turkish. To download an appropriate language pack, you will need to visit this link and select the language from the drop down menu. Upon pressing the download button, that language pack will start downloading to your computer. Installing the language pack is as simple as running the installer. Your .NET framework 4.6 offline link is for .NET 4.53 preview, not 4.6.